People love to dress their pets up in costumes. Normally the pets either tolerate it, or downright hate it. 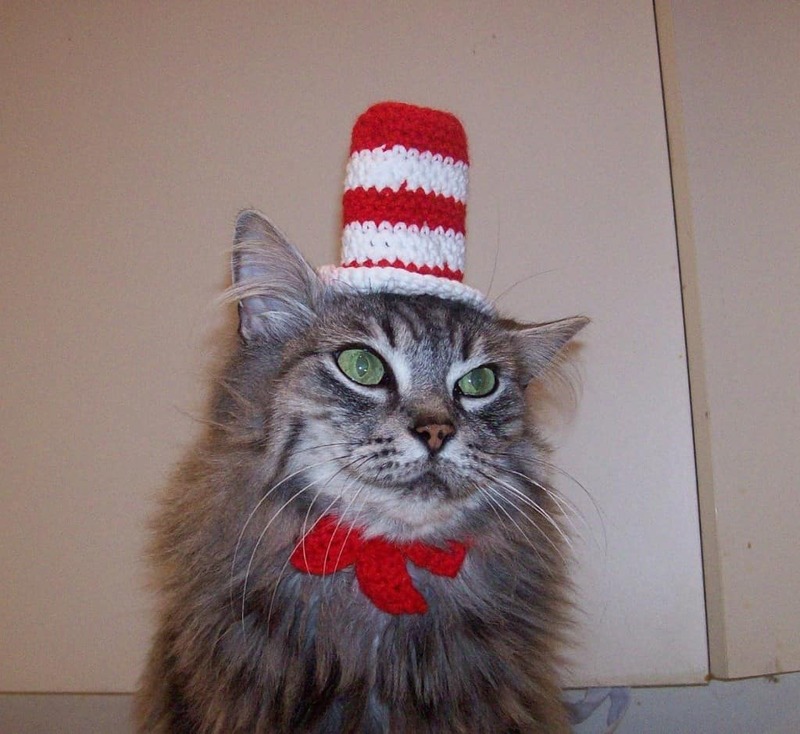 Here are some of the cutest, craziest and funniest cats in costumes you’ve ever seen. While Halloween is not even close, there are still people in their home right now dressing their pets up, for no other reason than to simply amuse themselves. If you dress your cat in a costume, shame on you. If you must though, you should take pictures of them and post them online so they can end up in lists like this one and make everyone laugh! 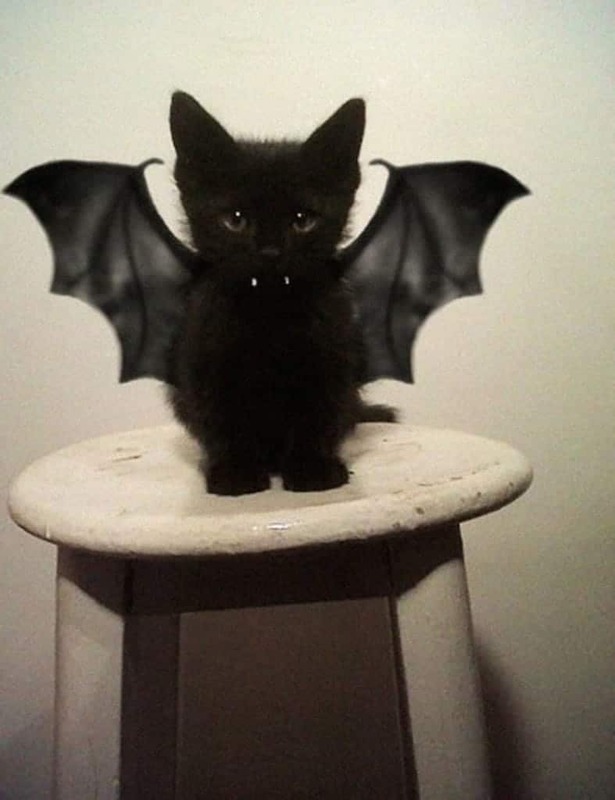 No need to dress your cat up as the superhero when it can look super cute dressed as a simple little bat. While this may be the cutest thing ever, keep looking for some cats that will make you laugh out loud. 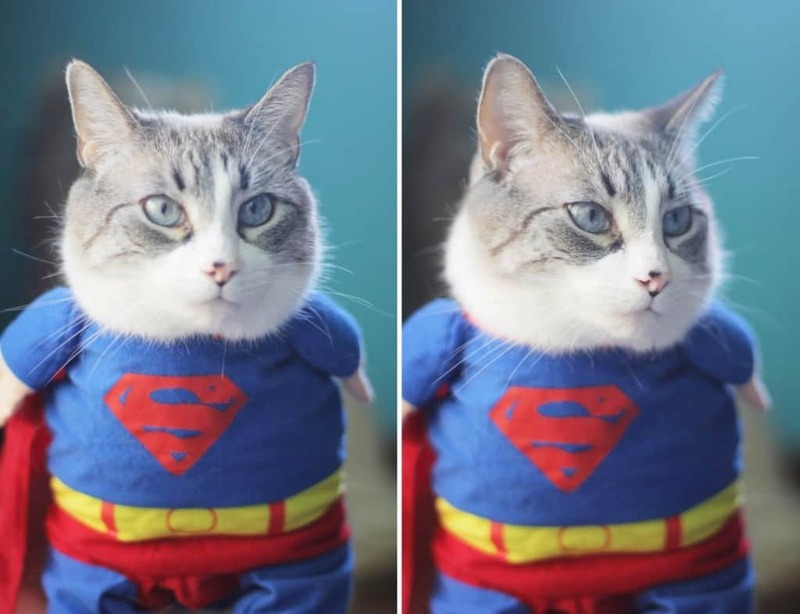 This cat should do some weight lifting before he puts on Clark Kent’s tights and cape again! 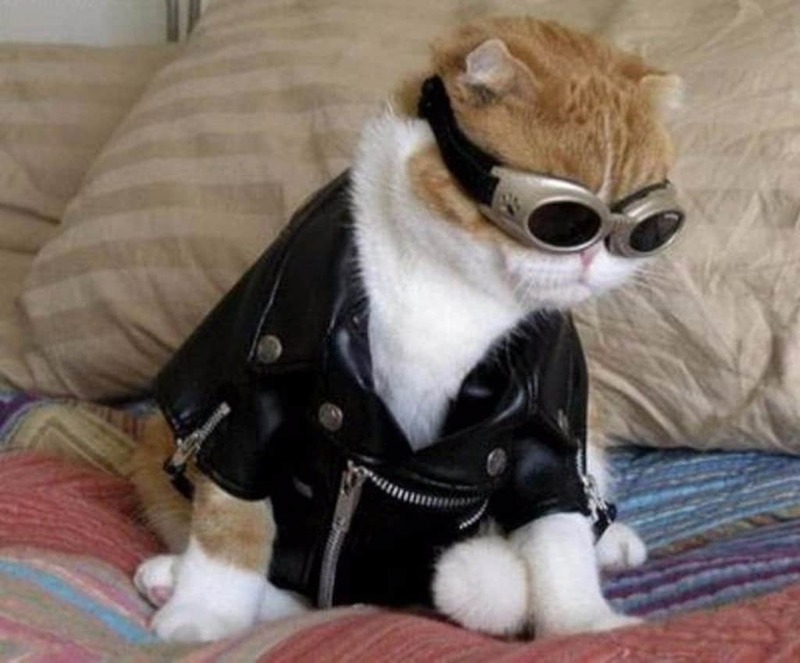 Who needs biker gangs when you can have a cool cat like this one. He’s either too cool to look at the camera or he’s busy plotting revenge. 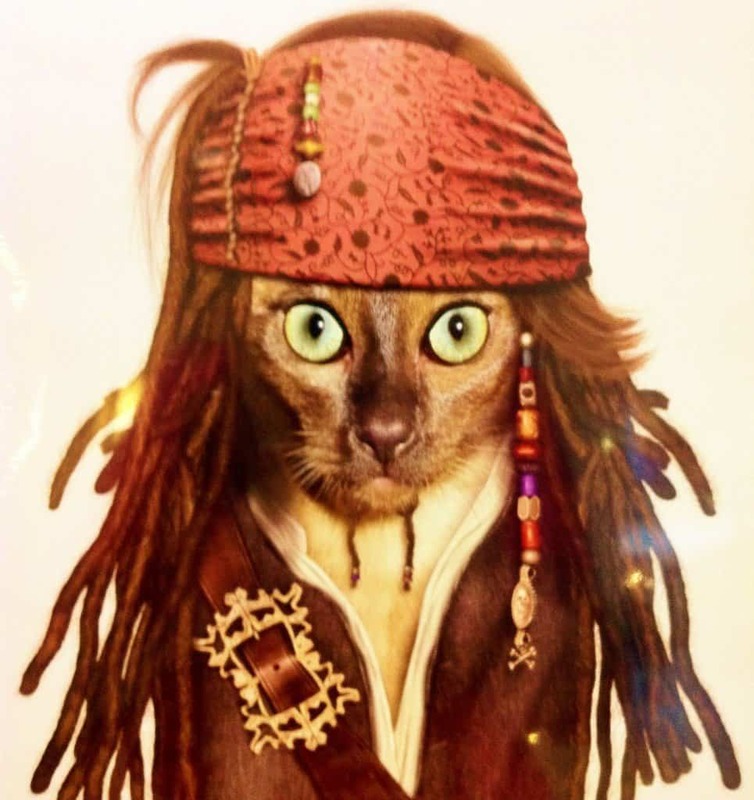 If you’re a pirate fan then you’ll definitely want to dress your cat up with dreadlocks and give him that wide eyed Jack Sparrow look. Just don’t give him any rum. Confuse your cat by making it think that it is its own prey. 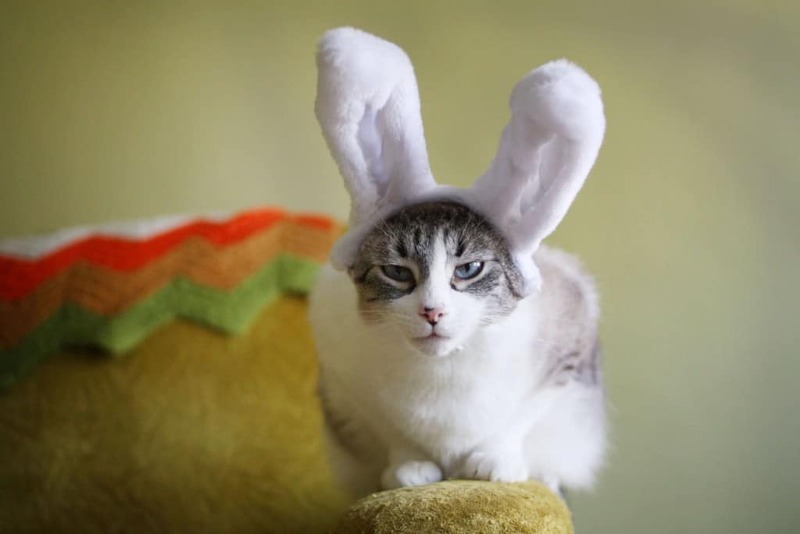 This particular cat looks less than thrilled to be wearing an extra set of ears. Nope, not the cartoon with the cat head on one end and the dog head on the other. 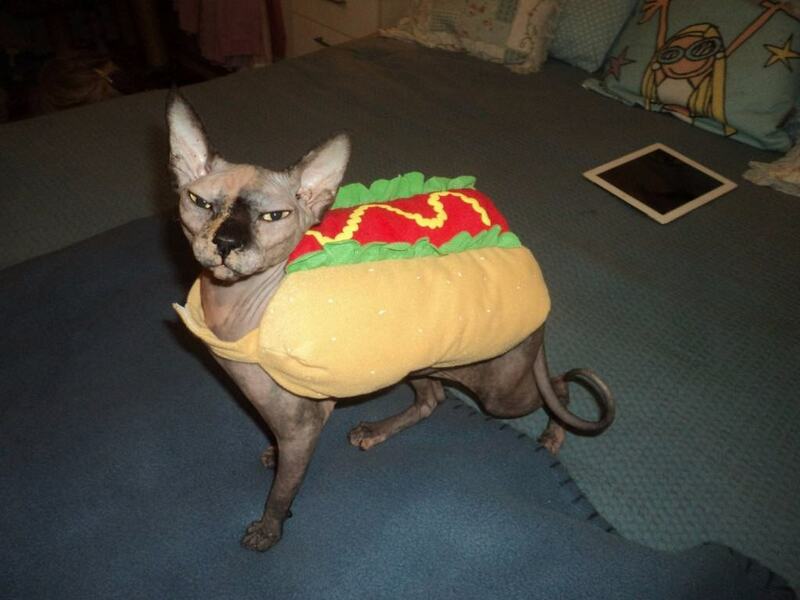 This is a cat elegantly dressed as a hot dog. He either looks like he’s posing or plotting, what do you think? 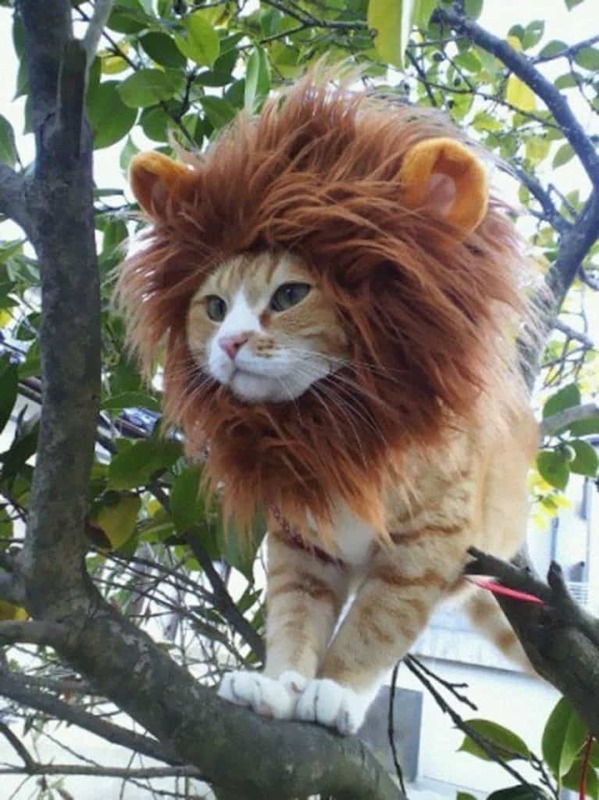 This cat makes a great lion, and he knows it. If you want to dress your cat up on any given day, this is a good choice in costumes. Make him feel larger than life! 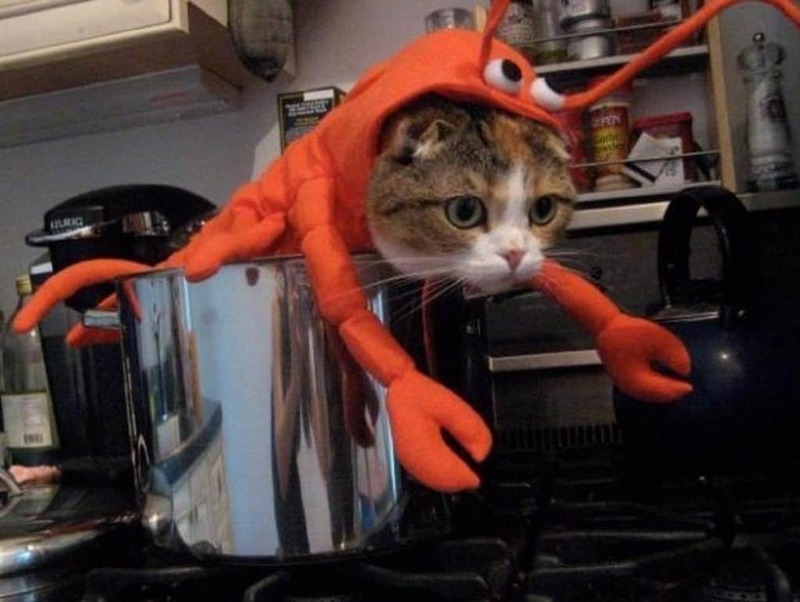 Move over lobster, cat is on this menu. This cat even looks like someone just turned the stove top on. 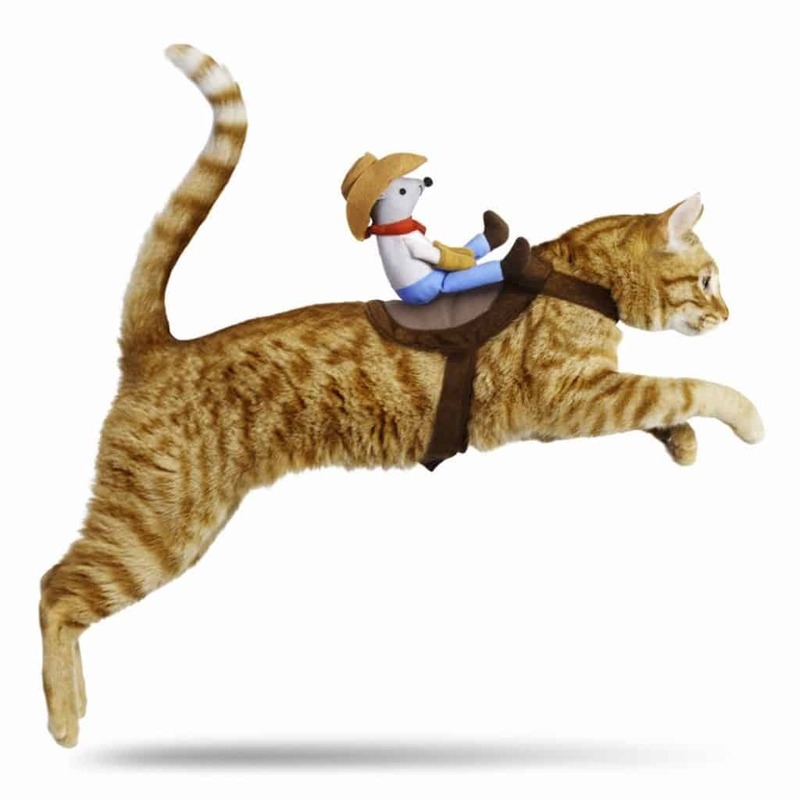 Pretty sure if there was a real mouse riding on this cats back he would be doing a lot more than just jumping. This frightening bee is buzzing around the flowers and it just may want to scratch, or sting, your eyes out for dressing it up in this costume! 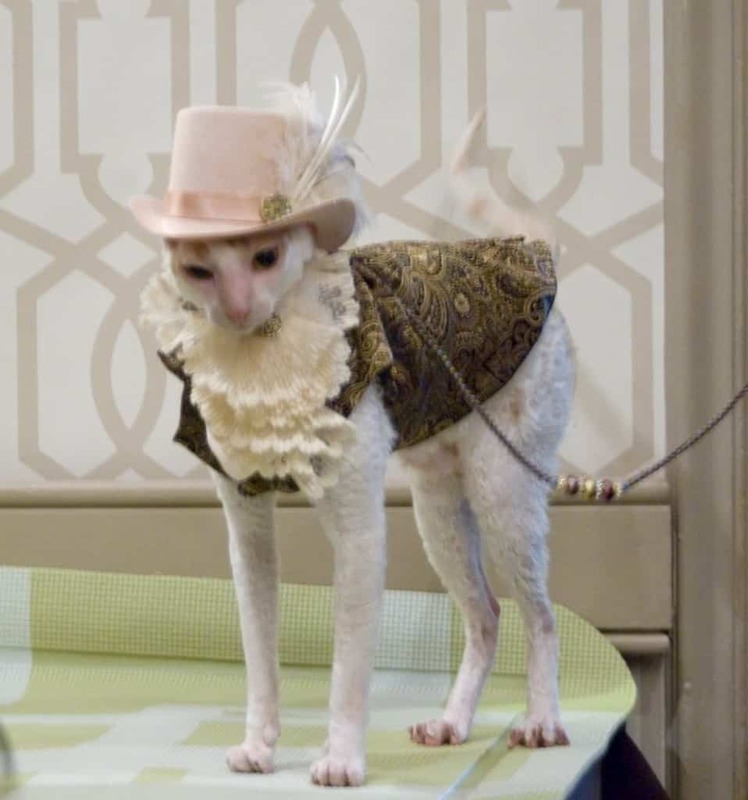 For the person with no imagination when it comes to dressing your cat, this is the perfect choice. Is your cat a diva? 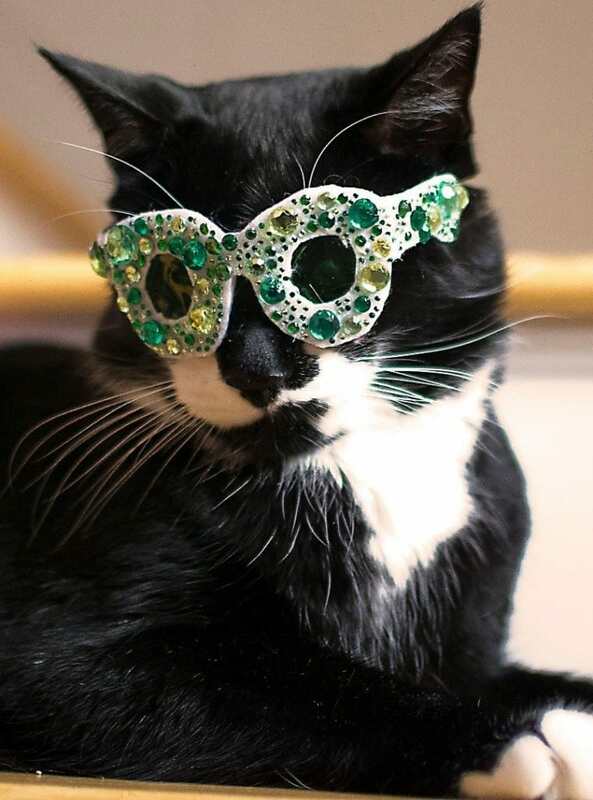 How about making him a star with a pair of big, beautiful, bedazzled shades that even Elton John would love! 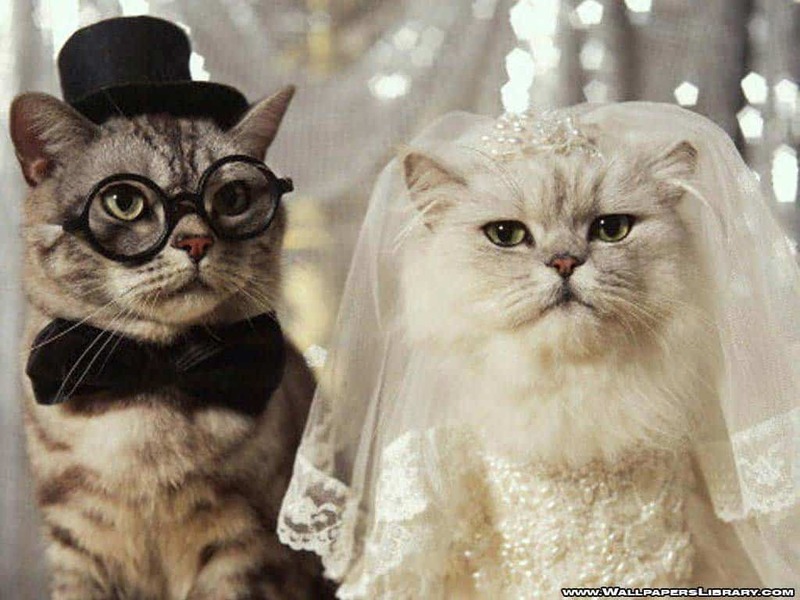 Say you’re bored one day, and you happen to have two cats roaming around your house, why not dress them up and have them get married? How cute would that be? 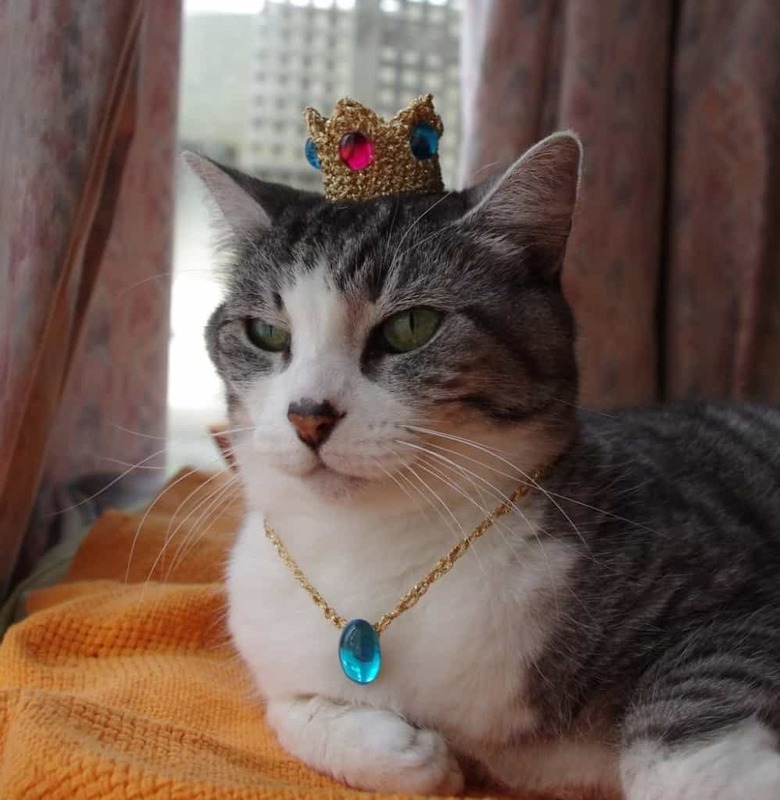 This cat is royalty and she knows it. 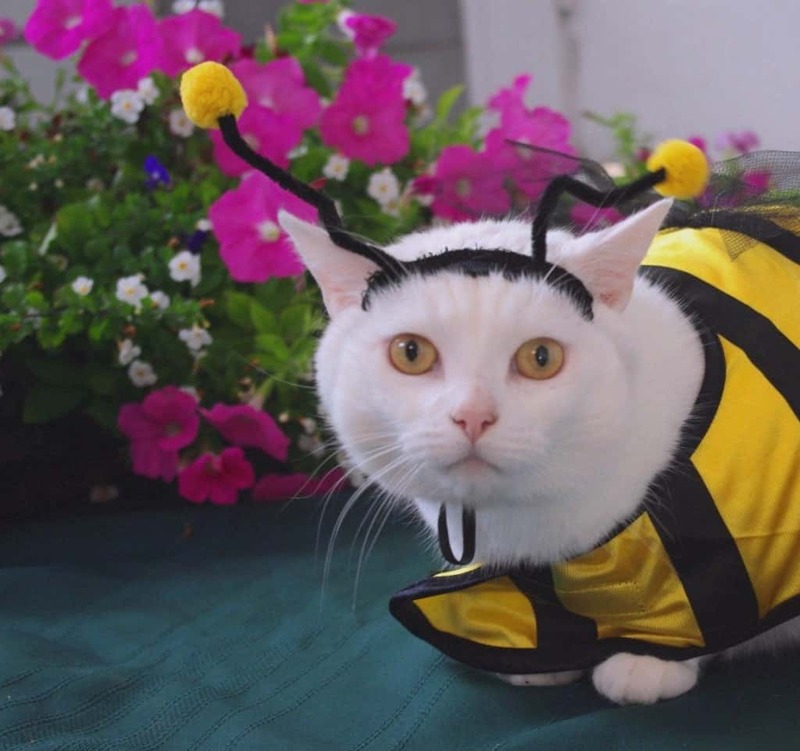 Simple costume that may actually annoy your cat far less than, say, a bumblebee costume. Got a classy cat that wishes it lived in another time when goggles were cool and zeppelins flew through the skies? Here is the perfect outfit. This one would work for both a male and female cat. 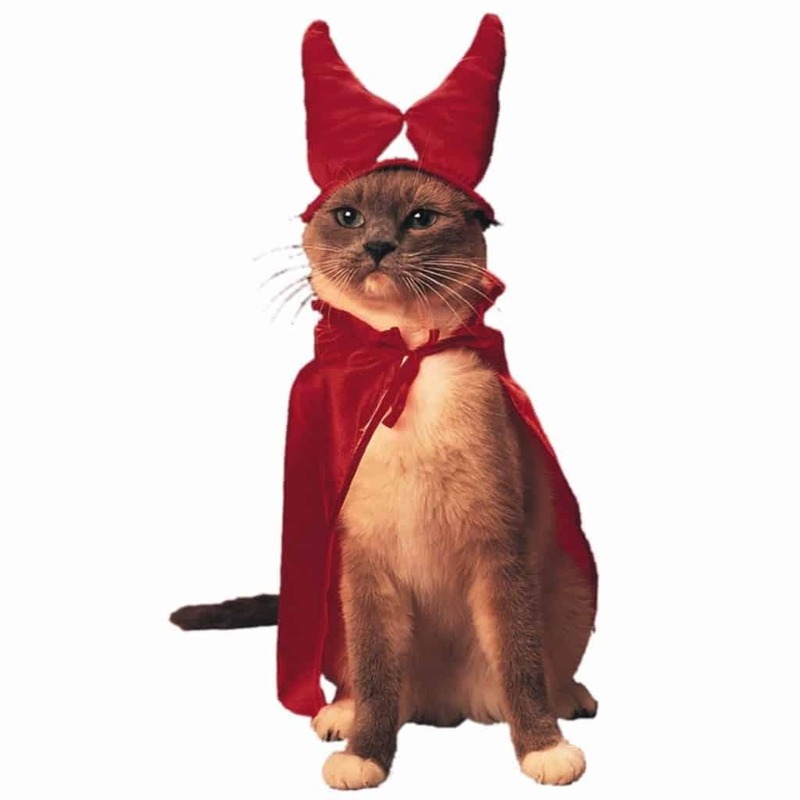 If you have a cat that is a little devil every day, then this is the perfect costume. Just don’t expect him to be happy about wearing it. This cat should probably just shred this costume because it is pretty busy and isn’t all that cute. 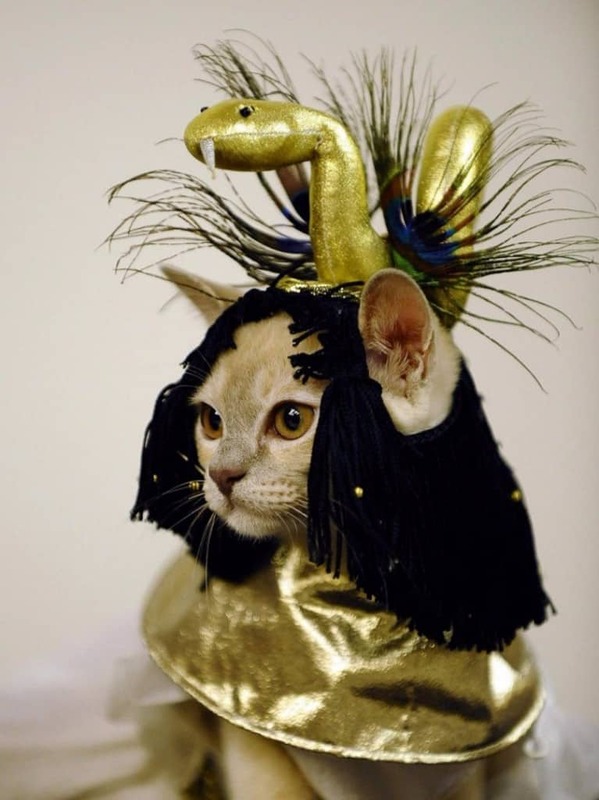 Poor Cleo-cat-ra. They say cats don’t like water. 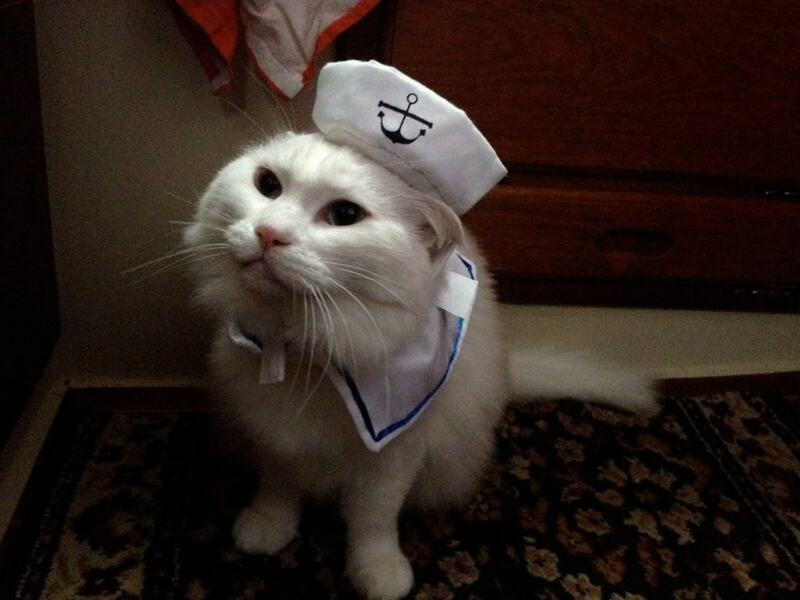 If that’s so, then this cat probably should give up its life as a sailor, or at least put on a life jacket. 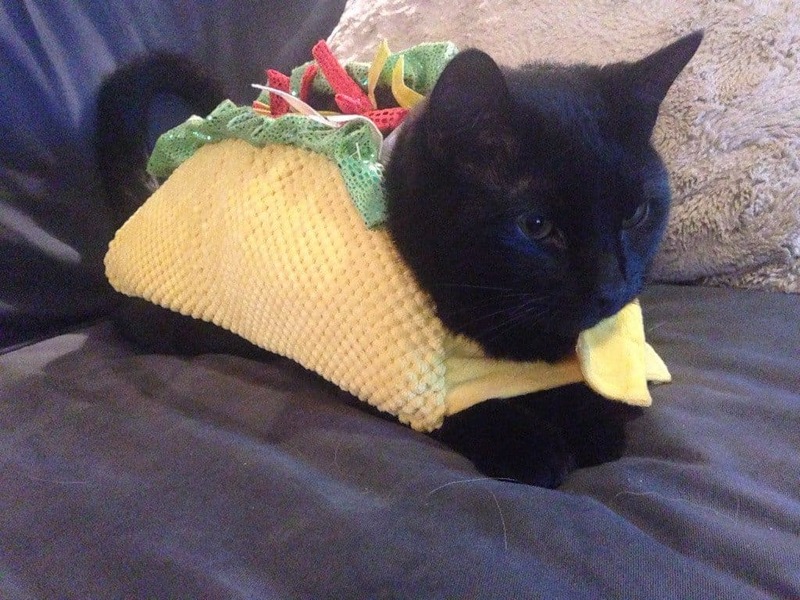 Instead of Chococat, here’s Taco Cat. If you have some drunk buddies over, make sure you either hid the taco cat or take the costume off. Drunk people love tacos! 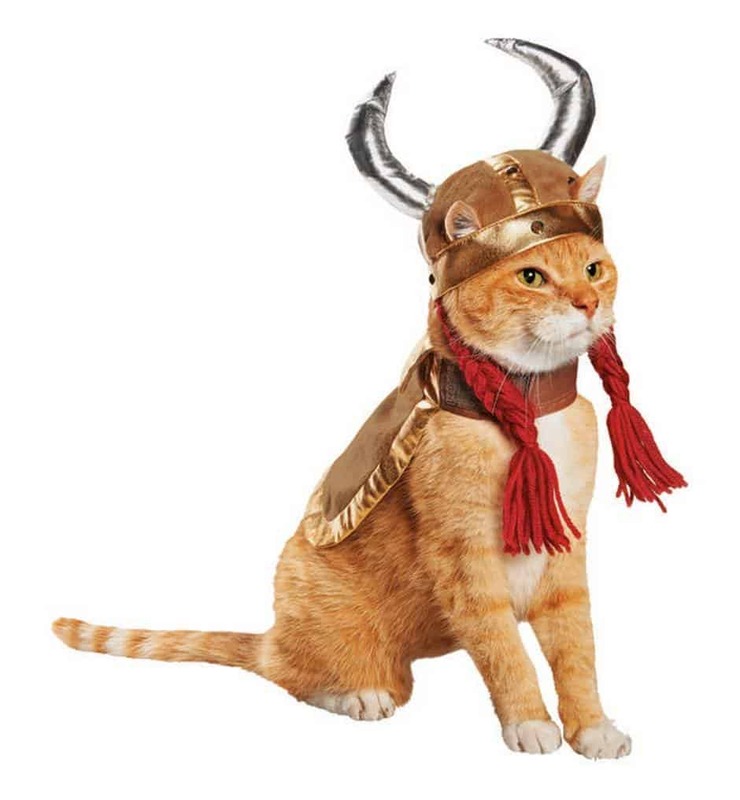 This cat is a proud warrior and a God. Unfortunately, he seems to be missing his hammer, Mjolnir. Maybe he is no longer worthy.